The Hon. 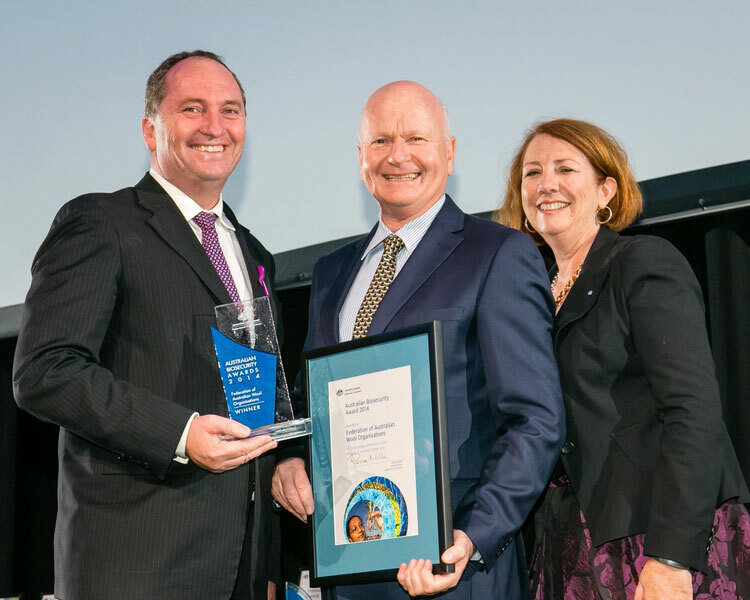 Barnaby Joyce MP, Minister for Agriculture made the presentation to the FAWO Chairman, Robert Ryan at the Australian Biosecurity Awards Ceremony on Tuesday 4 March 2014, which was held as part of ABARES Outlook 2014 in Canberra. The Federation of Australian Wool Organisations (FAWO) actively participates in sheep and wool biosecurity activities for several years, and is proactive about the threat of foot-and-mouth disease (FMD) and other emergency animal diseases (EAD) that could have devastating social and economic consequences for Australia. The organisation has also been instrumental in introducing EAD trade preparedness which helps reduce time out of markets, by improving national capacity to trace and certify wool product to the required international standards. FAWO also lead the development of an industry-specific AUSVETPLAN Wool Industry enterprise manual that details the appropriate response, by the enterprises involved in wool handling, to an EAD incident. Left to right: The Hon. Barnaby Joyce MP, Minister for Agriculture, Robert Ryan FAWO Chairman. Rona Mellor Deputy Secretary, Department of Agriculture. 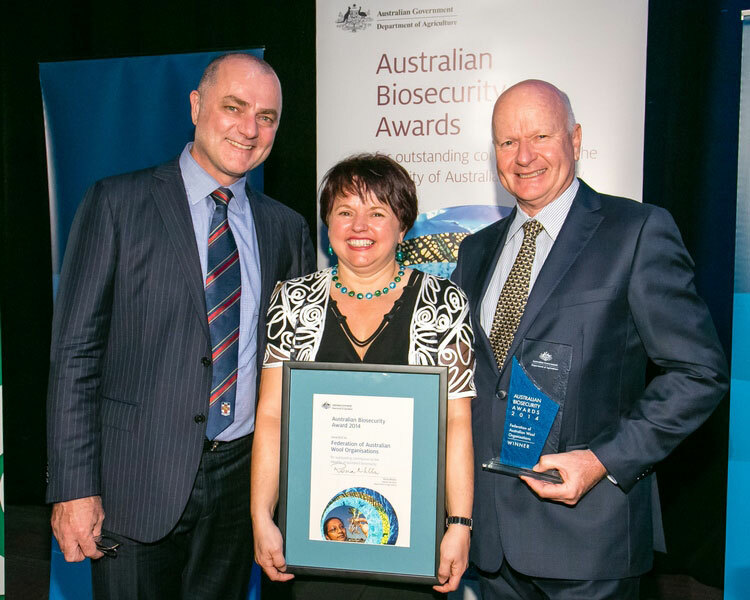 Left to right: Dr Paul Swan Australian Wool Innovation, Bianca Heaney FAWO Secretary, Robert Ryan FAWO Chairman.